Horyu Gakumonji or the Horyuji temple is a Buddhist temple situated in Ikaruga, in the Prefecture of Nara. It is also called the temple of the Flourishing Law because the architecture serves as both a monastery and a seminary. The story of Horyuji’s history is engraved on the back of the halo of the Buddha statue of Yakusi Nyorai that can be seen in the eastern side of the main hall of the temple. According to the story chronicled there, emperor Yowei was the one who first vowed to build the temple as his form of recovery prayer for the healing Buddha. However, he died even before he can fulfill this and the construction of the temple was then continued by the Empress Suiko and his son Prince Shotoku. At present, the temple is comprised of two areas namely the Sai-in of the west and To-in of the east. The west part of the architecture holds the Kondo or the Golden Hall as well as the temple’s famous five-story pagoda. The octagonal Yumedono Hall or Hall of Dreams can be found in the To-in area. The Horyuji temple also holds some lecture halls, libraries, dining halls, and monks’ quarters. Even though the reconstructed buildings are influenced by the architectural designs of the Eastern Han and Northern Wei of China as well as the Three Kingdoms of Korea, its five story pagoda possess designs that are unique to the style of Horyuji. Regarded as one of the revered two oldest architecture in the world, the pagoda’s base houses the enshrined fragment of Buddha’s bone protected by the four sculptures signifying his life which faces the north, east, south, and west directions. Unique historical cultural treasures of Japan can be found throughout the 187,000 square meter grounds of the Horyuji temple. More than 2,300 significant articles and structures are housed in the temple including 90 items that are considered as pieces of National Treasures of the country. 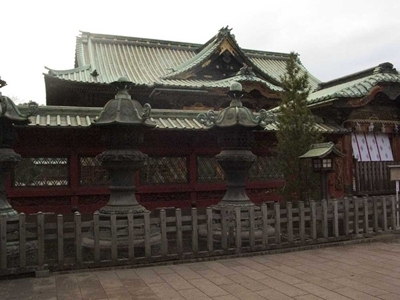 Due to its function as a significant architecture housing Buddhist culture, it was the first in Japan to be chosen by UNESCO as part of their list of World Heritage on 1993.